Fruits and vegetables are nutrient-packed. They are high on nutrition, yet low in calories. Add a serving each day to one meal and increase it every few weeks. Buy fresh or organic. Try some food never eaten before or finding a new recipe. For example, simply adding sliced almonds to a fresh green salad adds crunch and flavour to your meal, as well as adding protein and healthful omega-3 fatty acids. Stay away from foods that are full of empty calories. Read the nutrition label on the package - If there are a lot of zeros next to the vitamin content, put it back down. Even the "100 calorie" packs with little or no nutritional value makes 100 empty calories. Healthy eating doesn't mean deprivation. Reach out for nutrient-rich snacks, such as curd with fresh fruit, or a handful of nuts or dried fruit. Consuming larger portions of almost everything has become the norm now. Check the labels on your beverages. Many are packaged in bottles that look like single-serve, but the label clearly states that there are 2-4 servings per package. This means that you are getting a lot more calories than asked for if the whole thing is consumed. A few changes to the eating habits can make a big difference in the health. 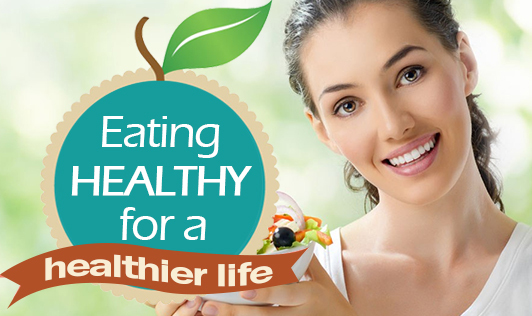 A healthy diet can give increased energy, help to sleep better, and help maintain a healthy weight.